So, you are looking for a complete package of antivirus that will protect your system from outside intrusion? Well, if you check online for a total Pc security, the list might not be a long one, but at the top, you will get the name of NOD32 for sure. For a longer period of time, NOD32 has been around the top spot and has been working great for the personal and professional PCs. Well, although NOD32 is not one of the popular most names amongst the general users, there is enough reason for you to try it at least once. The scanning system really quick compared to the others and also if you check the testing reviews, you will understand why. The system so advanced that, it will check for the version conflicts, in case there is an advanced version available on the internet. While installing you can set the system to check for the unwanted applications and it will act accordingly. After the installation is complete, it will immediately scan your system for any kind of issue. In case there is any issue with the configuration or the system is not right, there is a button that will go RED. This will indicate to you that, the system needs a scan and you can stay away from the unwanted interruptions easily. The antivirus is good enough to scan the whole system quite quickly and along with that, you can select customized scan according to your preferred drives or folders. Also, you can select differently to scan your boot sector and memory as well. If you scan a full system and compare the time taken by the full scan, you will be amazed to notice that the time taken is really less. Also, if you check your system subsequently, then it will skip those files which are already marked as safe. SO, for the next time, it will take less time. Well, there is a real-time scanner that can scan malware as and when you open a page or a folder. In case there is a malicious content in your system and you are about to open that folder, you will surely get a warning for that. Also, the notification is fine while showing you the errors and all. It can surely wipe out a maximum of the affected files and rest it can contain for sure. In short, this can protect your system almost 100% from the outside attacks and malware. Protects your system from any kind of malware and phishing techniques. Good enough to cure all the files from malware. Comes with separate Intrusion protection system for host. Other bonus security options are really good to protect your system as well. In some cases, it might not be able to block the malware from getting into your machine. 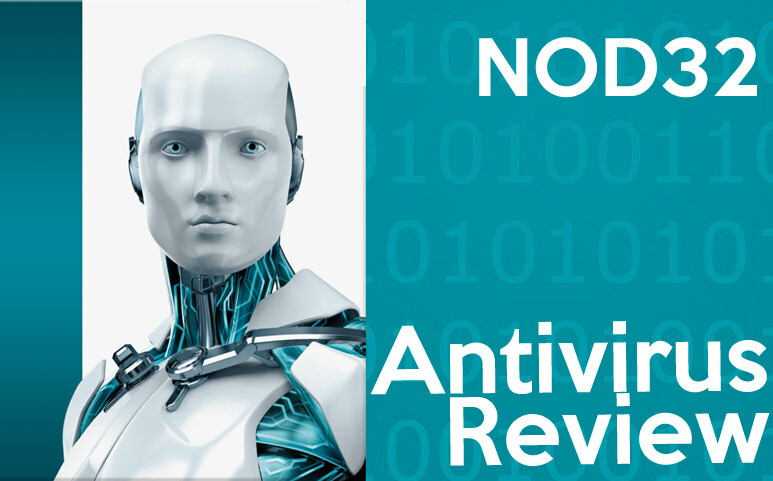 Overall, NOD32 is a good antivirus and can really work fine for you. This might not be the best antivirus for a professional worker but for the general users, this is one of the best that you can get. So, try it today and see the difference for yourself.